This was one of the examples where it really helped talking to the people you intend to photograph. 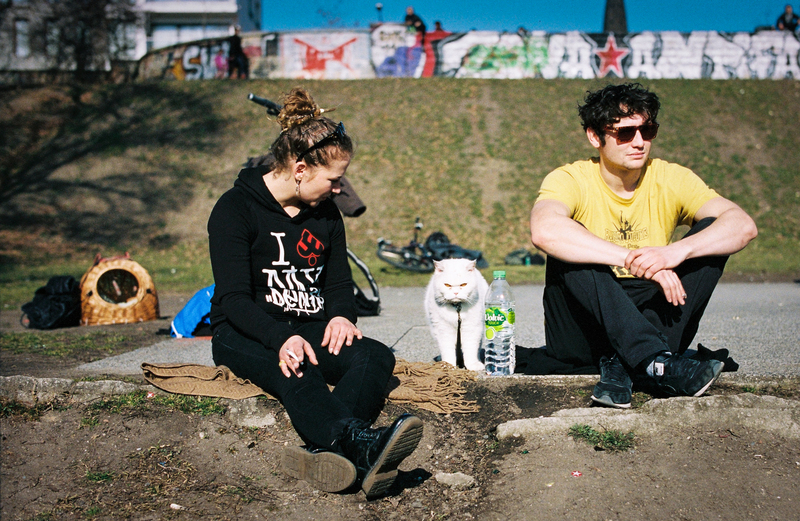 I was just strolling through the park during lunch break when I came across this couple with their cat (a tomcat in fact). I approached them and asked if they would mind me taking some photos – and they happily agreed. Only the cat wasn’t very happy about it at first, he vanished into the background and preferred watching some other folks playing table tennis. So I started chatting with the two young cat owners, and while talking the cat came back and posed very willingly for me and my camera. Of course the grumpy look wouldn’t fade :).